This time my toddler slipped in it. Uh-oh! He looks very sorry! I love The piddle pour-er! 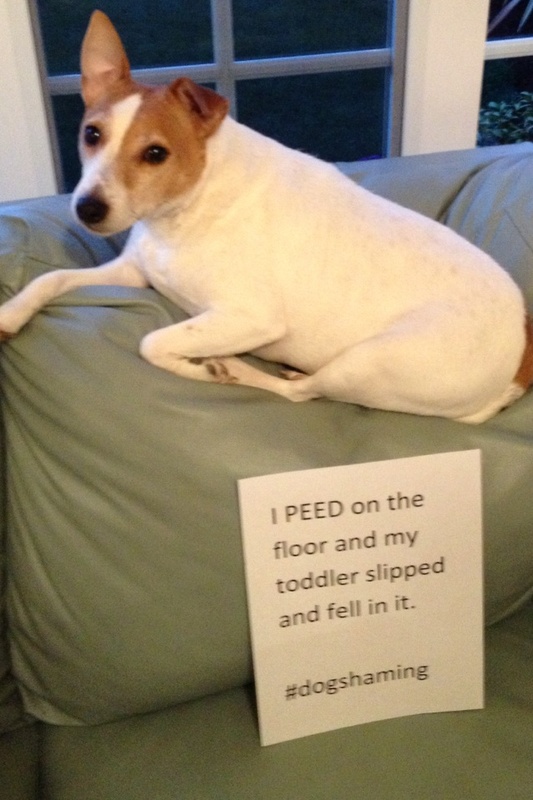 A Piddle Puddle & the baby slipped !!! He looks sorry!! forgive him mom! !